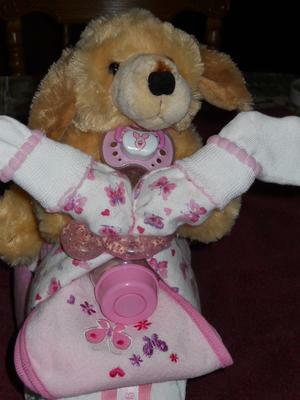 My daughter is having her first baby, a little boy. 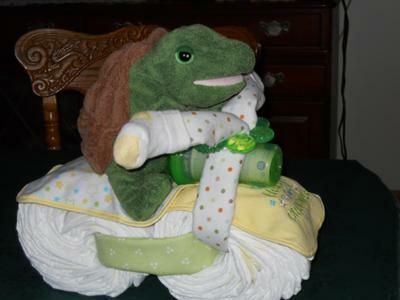 My daughter loves turtles and she decided she wanted to do the baby's room accented with them. 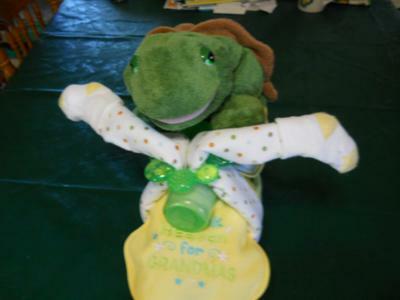 Do you know how hard it is to find turtle items for a baby's room!!? 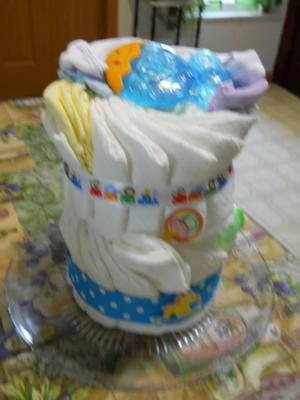 Well I decided to try my first diaper cake and this is what I came up with. 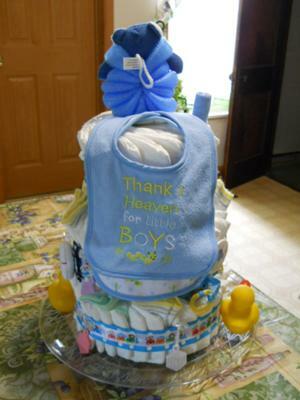 I made two more boy diaper cakes for the shower I'm having for my daughter who'll be having a baby son soon. 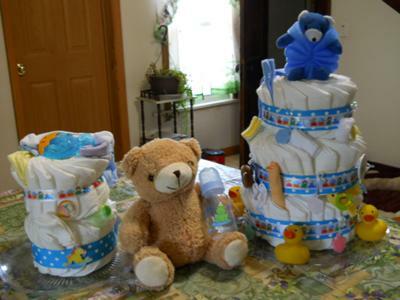 This time I made a baby bath diaper cake. And since I had extra materials left over, I made a smaller cake also. 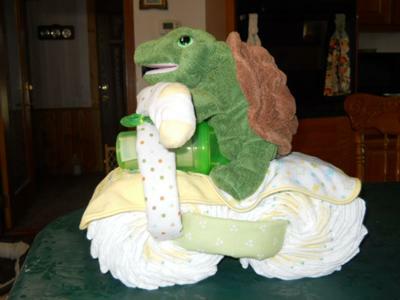 Thank you for your submission and for sharing pictures of these really unique diaper cakes! 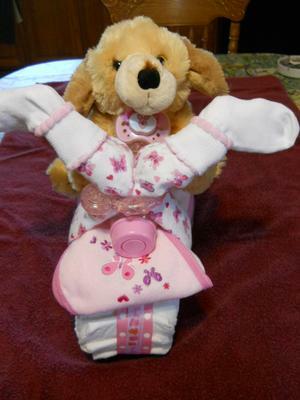 I am sure your daughter will love them and the baby shower guests, too. 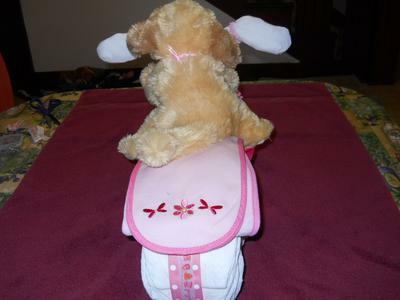 Even girls can ride :-) Girl Tricycle Diaper Cake. 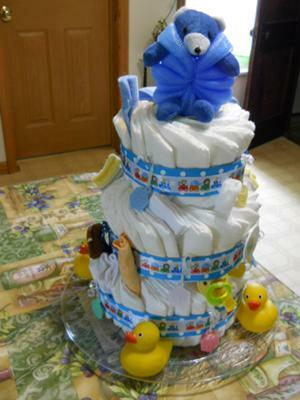 My daughters' girlfriend is having her first little one so I decided to try my hand at making this cute diaper cake for her.